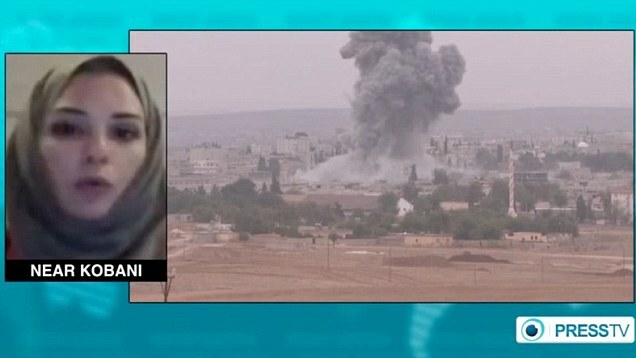 An American journalist has been killed in a car crash in Turkey just days after claiming she claimed the Turkish intelligence services had threatened her over her reporting of the siege of Kobane. 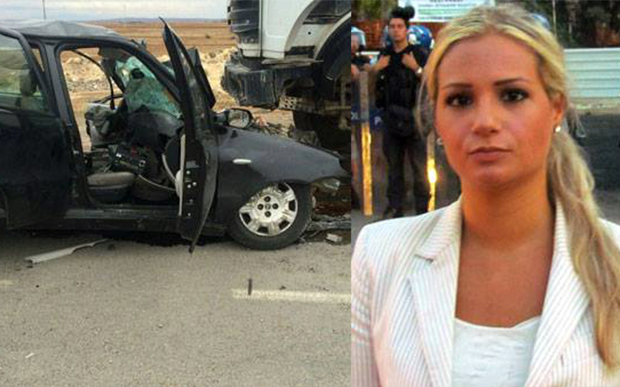 Serena Shim, who worked for Iran’s state-owned Press TV as Turkey correspondent, died in the city of Suruc after the car in which she was travelling reportedly collided with a ‘heavy vehicle’. Shim’s death came just days after she spoke on camera of her fears of being arrested, claiming Turkish intelligence agents had accused her of spying after one of her reports suggested ISIS militants were being smuggled back and forth over the Syrian border in the back of aid vehicles. Shim, an American citizen of Lebanese origin, had been working in Turkey for Press TV – the Iranian state-owned television network. In a report published on the company’s website, it is claimed she had been in a rental car on the way back to her hotel in the town of Suruc in Urfa Province when the ‘suspicious’ accident took place. Neither the ‘heavy vehicle’ nor the driver involved in the crash have been located after the incident, Press TV claimed, adding that her parents ‘refused to believe’ the crash had been an accident and are planning to pursue the matter legally. Press TV’s account of the crash has been somewhat disputed by Turkish newspaper Hurriyet Daily News, however, who said the vehicle involved was a cement mixer and that the as-yet-unidentified driver had been arrested at the scene. Due to its strategic location close to the Syrian border, Suruc is where much of the international media covering the crisis in Kobane has been based over the past few weeks. Only last Friday Shim was interviewed on camera by Press TV about her fears of being arrested by Turkish intelligence agencies. In the short interview she alleged that she had been approached and accused of spying after a report in which he said she claimed to have received images of Islamic State terrorists being smuggled over the Turkey-Syria in vehicles belonging to the World Food Organization and other aid groups. Islamic State militants have shot and wounded a senior Syrian rebel commander inside Turkey, it has been claimed, raising yet more questions of Ankara’s commitment to defeating the terror group. Abu Issa, the leader of a group fighting ISIS in the besieged city of Kobane, and his 20-year-old son Ammar, were ambushed by jihadists in the southeastern Turkish town of Urfa on Friday afternoon. 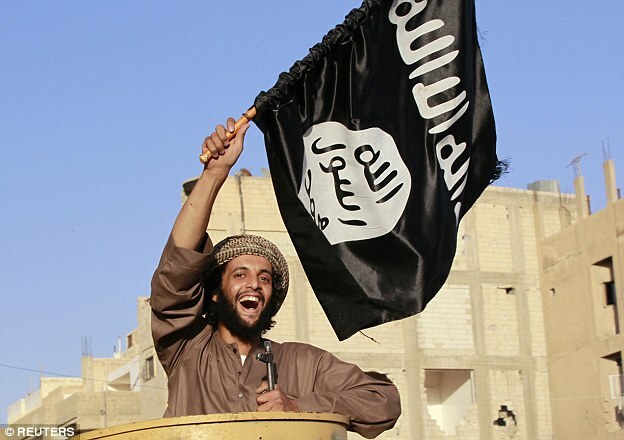 The pair – who had been attending a meeting with Turkish officials – were snatched from their car in an apparent kidnapping attempt, after the driver of their car allegedly simply switched off the engine when confronted by four heavily armed ISIS militants at a roadblock. After being seized they were driven at high speed towards the Syrian border and only managed to escape when one of the third-party smugglers ISIS uses to transport people and weapons into Syria bailed on the plan after spotting Turkish soldiers. None of the Islamic State attackers wore masks and two of them were known to Abu Issa from fighting in Kobane, his aides in the Thuwar Raqqa rebel group told the Telegraph. A matching account of the kidnapping was reportedly given to the newspaper by another military commander in the group, Abo Ayham. He claimed that Abu Issa’s driver – who was also his most trusted advisor – had been in on the plot, driving the rebel leader into a quiet back road where the extremist were waiting, refusing to turn the vehicle around when ordered to do so, and turning off the car’s engine rather than trying to escape. The news raises yet more questions about Turkey’s commitment to the international fight against ISIS, after Ankara drew a great deal of international criticism for refusing to intervene to help Kurdish fighters battling militants just 200 yards over the border in Kobane.